In our previous post about ways to save money on a church building project, we discussed the pros and cons of different types of HVAC systems. This time, we continue the discussion by examining ways to save energy with those systems. After all, whether you’re upgrading your heating and cooling systems as part of a church remodeling project or starting from scratch, you can save a lot of money down the line with all types of energy saving techniques. HVAC systems tend to come with a standard thermostat. With these most basic of controllers, you set the temperature and it stays there until you change it. It is dependent on someone regulating the temperature when it is necessary to do so. This old-fashion approach is marginally functional in a typical home, where parents are in charge of the thermostat and turn it up and down depending on what the family is doing. In a church building, however, regulating temperature is a lot more complicated. Just as an example, what if you wanted the worship center to warm up in the winter on Sunday mornings, but didn’t want it to be warm the rest of the week—and also didn’t want to have to arrive an hour early just to turn up the thermostat? Such scenarios—which aren’t at all uncommon— are why we suggest that at minimum you invest in a programmable thermostat. Especially since they cost little more than a standard one, so you won’t break the budget of your church remodeling or building project by investing in one. With a programmable thermostat, you can instruct the heating system (or cooling system) to kick on before the first worshippers arrive. Programmable thermostats are also easy to override on a temporary basis. This means that if, say, people need to turn up the heat in a small meeting room when they arrive for a meeting, they can; but if they then forget to turn it back down when they’re done, the programming will do so automatically when the next cycle kicks in. Obviously, a programmable thermostat is going to pay for itself very quickly in energy savings. But that’s just the beginning. The next option, which involves newer technology, would be to install a Wi-Fi enabled thermostat as part of your church remodeling or new construction upgrade. Such thermostats are connected to your computer or cell phone, which means you can control your system from wherever you are. This offers yet another, more elegant way to solve the problem of having to turn up the heat on Sunday morning—or, for that matter, on a Thursday afternoon if some sort of special event is being held midweek in your worship space. Wi-Fi thermostats also allow you to maintain more control. You can instruct people to call you (or someone in charge of maintenance) if the building gets too hot or too cold, then you can make any needed changes using your smartphone without ever having to enter the church and physically operate the thermostat. It’s easy to see why a Wi-Fi system offers an extremely flexible and effective way to save money. There is one other option to consider when trying to promote energy efficiency in a church remodeling or building project. It’s called an energy management system, and it offers many more bells and whistles thanks to modern computer technology. 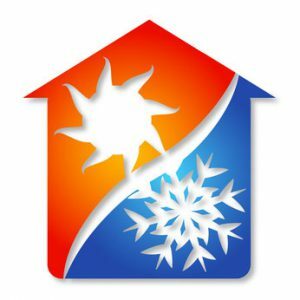 An energy management system will take into account the weather, humidity and other factors that impact HVAC system performance, enabling you to expertly control your heating and cooling. It also gives you system reports on how all the elements in your HVAC system are performing, providing a heads-up on problems before they occur. As you can imagine, systems this sophisticated can be expensive. They also require a lot of training so that people understand how to use them to their best advantage. If you have technologically minded members in your congregation and are creating or renovating a sprawling church complex, then this might well be a reasonable option for you to consider. It will save you money in the long run—if it’s well understood and managed. Frankly, we find that it tends to be more than most churches need or can afford. The bottom line, in our opinion, is that most churches will do fine with a programmable or Wi-Fi thermostat, and we strongly encourage churches to explore those options. To learn about more ideas relating to your church building, don’t forget to peruse our i3 webinars. They’re free for the watching—simply visit our website and sign up. And keep reading our blog. In the next installment of our series on ways to save money, we will shift our focus to saving energy through smart lighting.